Lately the physical fitness activity of choice has been pick-up basketball at the local rec center. Sure, I’m thirty now and pretty much the only people playing ball in my town are high school kids after school. I used to play basketball at the local rec center a lot, and have for the past three weeks or so played for a couple of hours, twice a week. I’ve been going out around 2:30pm so I can shoot around and get loose before the kids come after school. I’ve used the map my ride app on my iPhone to track the distance I cover while playing basketball at the local rec center, and find that I’m averaging about 3 miles of activity in the two hours of ball played. 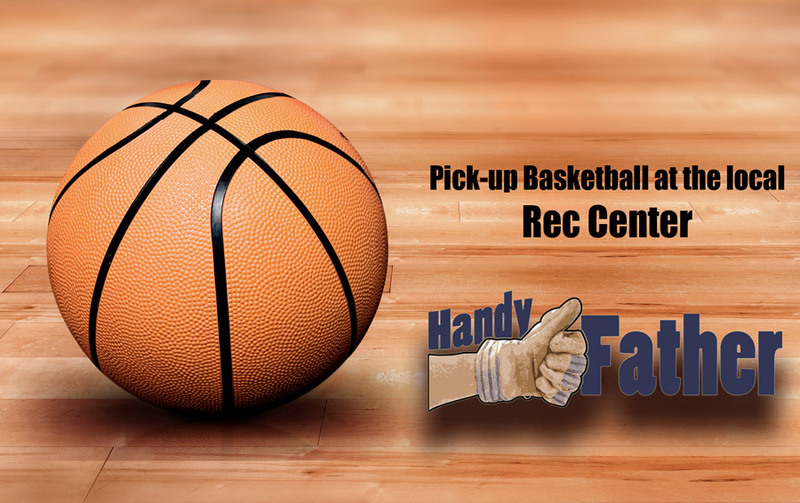 Usually basketball at the local rec center consists of pick-up games of four on four or five on five full-court games. We play to 11 or 15 by 1’s and 2’s. Teams are chosen by shooting free throws. Everyone who wants to play lines up and the first make is on one team, second make is on the other team. This continues until both teams are full. Everyone else is left over to play in the next game. My local rec center only has one basketball court, so the winning team stays on the court after the game, the people who lost are out, and another team will form from anyone else who wants to play and the first game’s losers if needed. I find that basketball at the local rec center is an effective way for me to get a good cardiovascular exercise in, and with winter coming up, biking and running outdoors, for me, is out. Is anyone else playing basketball for their physical fitness? I’m finding that the more I play, the more fun it is, and the longer I can play without getting tired. Who knows, maybe I’ll be keeping up with the kids soon?